Which B-schools to select on test day? I have an option to choose 5 B schools on test day isn't it? I am 21, I am writing GMAT for ISB's YLP mainly. I have no work exp right now. 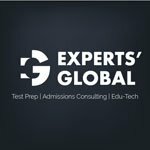 So, can someone suggest which B schools should I select on test day? If I sent the scores to the schools now, and in case I take GMAT again (for a better score) and send it to the same school would that affect the possibility of admission? I am expecting somewhere between 680-700 on the GMAT. Few schools do. HBS 2+2, Yale Silver Scholars, Stanford Deferred, Kellogg MMM, or a Masters Program - they usually require zero experience. Thanks. I checked that link already. But, I wanted a list, because I have the choice to apply to 5schools on test day. Will probably check the deferred programs. I don't want to apply for MiMs. 2 days to go for GMAT! Its not really going to matter much because you still seem a long time away before you apply to other MBA programs. Whenever you are ready to apply to business schools (if the need arises), your target list will still keep evolving as you research the programs more and more. And in this scenario, applicants do land up asking for their scores to be sent to additional schools for a nominal cost. 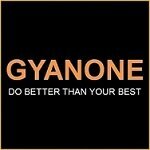 And retaking GMAT is not considered bad by any business school. To your other question - if you retake later and improve your score they will in most cases look at the later/latest score and consider that. The good news is that retaking the GMAT will not hamper your possibility of gaining admission. The school will accept your latest score and take account of that. Ideally, you should look at MiM programs at this point. However, since you have stated your reservation about the same, you could send your scores to a good mix of schools (Stern, Boston, UC Davis, and Olin are a few examples). However, while these schools do not require a minimum work experience, they may prefer students, who have some. While the score you are expecting is a fairly competent one, the GMAT expectations from Indian students are always higher as compared to their international counterparts. Therefore, we recommend that you focus your energies on securing as high a score as you can, as well as work on building your profile by engaging in volunteering work, taking up relevant certifications, or participating in extracurricular activities. Later, you will always have the option of sending your scores to additional universities, without having to shell out too much money. We take this opportunity to offer you a free profile evaluation. Should you be interested in the same, please feel free to reach out to us.